The chemical industry in the Gulf region must embrace the circular economy, which if correctly leveraged, can generate huge economic and environmental benefits, said speakers during the 9th GPCA PlastiCon, being held in Dubai, UAE. The event which opened yesterday (March 14) will conclude later today (March 15), at the Oberoi Hotel, Business Bay. Stakeholders would need to work together to increase the circularity of plastics by making sure that plastic waste is adequately recovered and that it does not end up in landfill or in the environment, reported state news agency Wam. The industry would also need to develop its innovation capabilities and work closely with regulators to formulate the right framework for plastic waste management, build an adequate infrastructure and adopt world-class standards, speakers said. 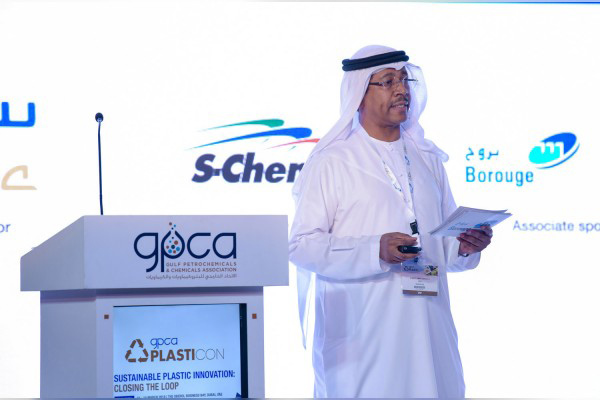 Ahmed Omar Abdulla, CEO, Borouge, and chairman, Gulf Petrochemicals and Chemicals Association (GPCA) Plastics Committee, opened the event with Abdulrahman Al-Fageeh, executive vice president – petrochemicals, Sabic, delivering a keynote address on the role of plastics in a circular economy. Abdulla said that more and more, polymer producers are strongly advocating commitment towards plastics circular economy which anticipates that plastics do not end up in our oceans or landfill, but rather contribute to an effective after-use economy. He noted that governments in the GCC and around the world should start to enforce the policy of plastics circular economy to be a driving force in the efforts to enhance plastics sustainability.